I don’t know why, but I’d rather eat veggie burgers in the morning, and cereal and fruit for dessert. I love the Boca “All-American Classics” patties, because they have that savoury liquid smoke flavouring. 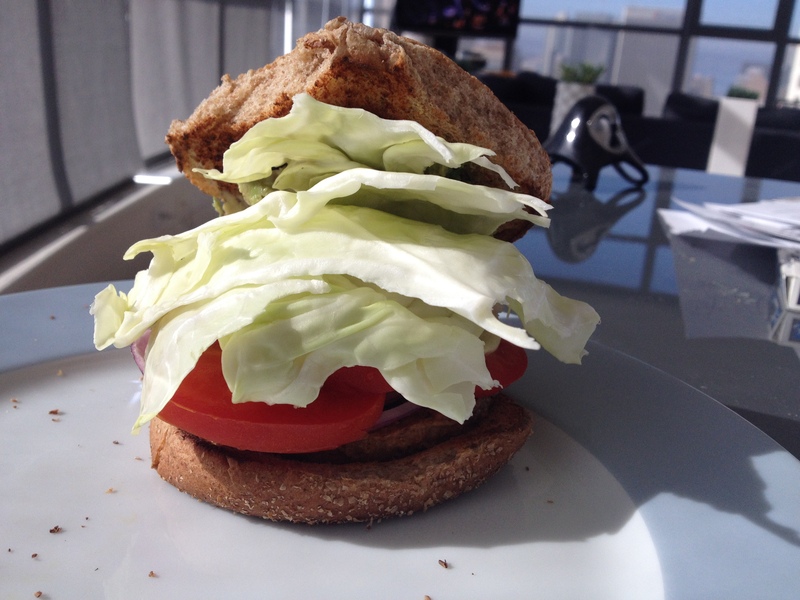 I pile the burger with onions, tomatoes, avocado, and greens (cabbage seen here). Add a litre of Diet Dr. Pepper, and you have a perfect way to start the day!